Can you please confirm you are still acting for me in the case AND ATTENDING WITH QC I briefed in London with a witness? I now have new information for the judge, HHJ Tracy Lloyd-Clarke, from a fortunate civil hearing yesterday, 1CF03361, that will lead to the release of police MAPPA and MACHINE GUN CONSPIRACY RECORDS TO HAVE MY POLICE PSYCHIATRIC REPORTS FABRICATED to stop my civil claim, following 33 failed South Wales Police malicious prosecutions aimed at me. The police QC was made to admit to HH judge Keiser that HH judge Seys LLEWELLYN QC refused to release those MAPPA minutes when they had been delivered to court in the proverbial ‘brown envelope’ in front of me containing their plan to having me killed. South Wales Police now ordered to dislose HH Judge Thomlow’s documentary evidence as well that he used at secret HH judge Bidder QC hearing in Cardiff Crown Court to have me sectioned to Ashworth for rest of my life. Their yet to be disclosed forensic history of me contained their Caswell clinic I had diagnosed, with PROF RODGER WOOD OF Swansea university lying, that I had a brain tumour making me so dangerous….MAPPA LEVEL 3 CATEGORY 3 (top 5% most dangerous) … I must not be told…….and never have been since. 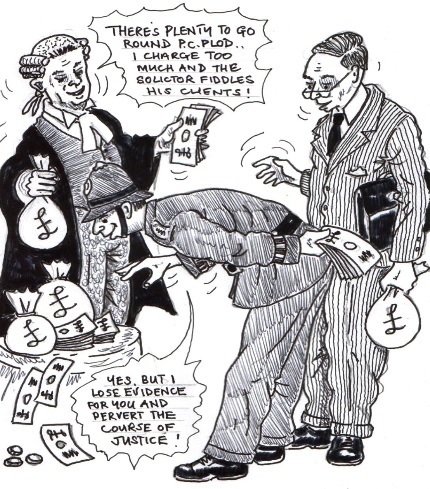 Remember , HH Judge Seys Llewellyn QC had quickly ordered the destruction of my BS 614159 etc court records, to block a RCJ appeal, relating to my first of many substantive claims for over two million pounds, after he had refused need for both standard and specific disclosure arising from over 40 police incidents. Now, am I morally obliged to accommodate all these delightful people that appear to have gravitated to Cardiff’s so called law courts? The lying little bastards told the court there were no bail hostels available, a habit of theirs to keep me in prison, just as they did this time , for next week’s court, ‘cannot find a welsh forensic psychiatrist to assess your fitness’.…. South Wales medics all too bloody scared to counter any other South Wales doctor as the cesspit of theirs is NHS (Wales) controlled and NOT NHS (England). My sister, Celia and another, quietly made their own enquiries as to bail hostel availability both to be told there were plenty.